Dr. Daniel Rowan was raised in Western Canada, attended Norwich University in Vermont on a Hockey Scholarship. After obtaining Bachelors of Science degrees in both Biology and Sports Medicine, he received his Doctor of Optometry (OD) degree from the New York College of Optometry in 2001. He performed rotations in a Queens VA hospital, specializing in glaucoma care, and in an outpatient eye clinic in the Bronx. Immediately after graduating, he moved to Reno to start practicing Optometry. He is a member of the American Optometric Association and is Board Certified by the National Board of Examiners in Optometry for the treatment and management of ocular disease. Dr. Rowan, his wife Amy and their three children have lived in Reno for the last 15 years. 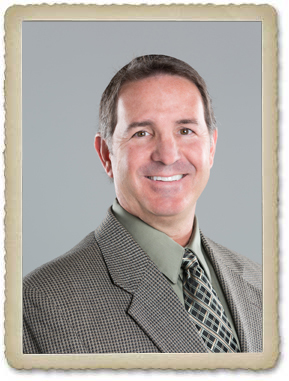 Dr. Rowan enjoys golf, camping, fishing and watching his children participate in sports. He also enjoys watching all sports and cheering on the Wolf Pack. Once Greg Peters learned that his niche was in the entrepeneurial sphere, he decided to build his own business ventures. After owning multiple businesses, Greg opened Adam & Eve. Adam & Eve started four years ago in Carson City and has since then opened another location in Reno. Adam & Eve stores provide a safe and friendly envrionment for women, men and couples to explore romance and erotica. Jodi is originally from Anchorage, Alaska and graduated from the University of Pheonix with a business marketing degree. Jodi started working with Sierra Nevada Properties in 2011. Since Jodi was little, she had dreams of making homeownership come true! Sierra Nevada Properties was established in 1979 and is one of the most knowledgeable management team in the Northern Nevada Area. Karen is the Founder and President of The Human Resource Connection. She has been certified as a SPHR since 1999, as well as SHRM-SCP certified since 2015. Karen is currently President for the Norhern Nevada Human Resource Association(NNHRA) and a member of the Society for Human Resource Management. HRC builds customized Human Resource solutions that cater to the unique needs every business. The Human Resouce connection is the missing piece of your puzzle - bottom line, helping you balance the needs of your people with the needs of your business is the ultimate goal. Cindy has over 15 years of SBA lending experience and has recently joined Celtic Bank, which is 7th top SBA Lender. She serves as the Vice President and Business Development Officer. Before joining Celtic Bank, Cindy was Bank of America’s #1 SBA producer nationwide in 2017, covering Nevada and Central California. Cindy is also a Certified Commercial Investment Member and has served on the Board of Directors for the Southern Nevada CCIM Chapter. 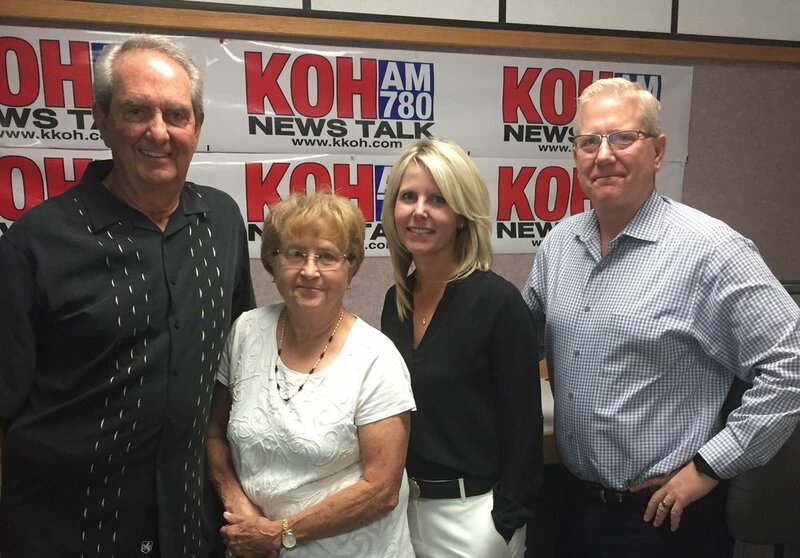 Nevada Natives with 40+ years of experience in the new home building industry discuss with Mike and Katrina all things business. They build high-quality homes for the Northern Nevadan community and believe in the product they build and “stand behind each home 100%”. Angela Watson opened Black Hole Body Piercing in 1994 and has been voted as the “Best Place to Get Pierced” 23 years in a row. Black Hole is an Award-winning, female-owned studio and is one of the oldest piercing - only studios in the US. They offer only the best implant grade stainless steel, titanium, nickel-free 14k gold jewelry, etc. Each Piercer must earn certification in blood borne pathogens, first aid and CPR. They also regularly attend the Association of Professional Piercer’s conference for continuing education. Angela Watson has assisted the community in many different ways by hosting a United Blood Drive, Director of Events for the Midtown District Reno Merchant’s Group and the Creative Coalition of Midtown Merchant’s Group. Carol and Art Reitz purchased the business in August of 2017 with the intent of training and employing those with disabilities. They have been married for 18 years and Art is a firefighter for the City of Reno. They have three boys; one with autism works at the Chocolate Shop. Sierra Nevada Chocolate Company is a local family owned business that provides quality handmade chocolate treats in a fun atmosphere. Enjoy coffee, tea, hot chocolate or wine paired with over 40 different flavors of truffles and bark, or with some of their delicious pastries. Mike Bosma (CliftonLarsonAllen), Katrina Loftin (M&A Business Advisors), Par Tolles (Tolles Development Company) and Chip Bowlby (Reno Land Development) sat down and talked how to take advantage of all opportunities available! 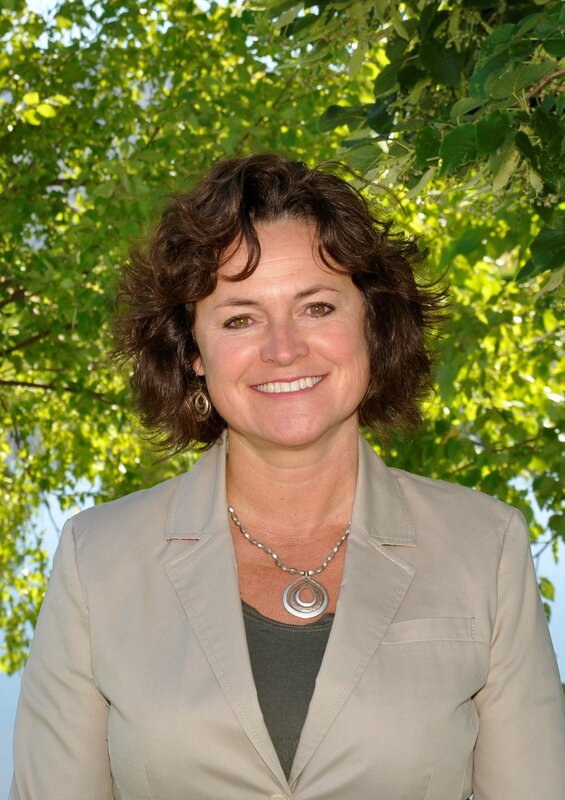 Ann Silver is the Chief Executive Officer of the Reno + Sparks Chamber of Commerce and is also an Executive Leader of non-profit, business/government organizations specializing in human resources management, labor relations and team building. Valerie Clark is President of Clark & Associates of Nevada. Valerie is also a partner in Solutions At Work - Human Resources Consulting Services, HRIS, PEO and Payroll Technology Solutions. Jim has more than 35 years of financial experience. He helped launch First Independent Bank of Nevada in 1999 - former President and Chief Executive Officer. Jim is on the Board of Directors for Renown Health Systems and Commissioner on the Nevada Tax Commission. He has extensive experience in commerical real estate lending and residential subdivision construction lending. Matthew McIver brings over 13 years of experience in developing creative solutions and ideas that propel brands forward. He has helped lead a team to global recognition as some of Nevada’s best designers. Ashly Sloan-Brinkley, owner of Reno Board & Brush discussed all things Franchise business and DIY workshops. After traveling around London and Qatar as a managing consultant, Ashly decided to make her home base here in Reno and raise her son. Tray Abney with Abney Tauchen Group discussed how every business is going to navigate this upcoming election! With over 25 years of combined public policy experience, Tray makes sure that the people, process and politics are the best to deliever the best. Graduting from Missouri State University with a Science Degree in Political Science, Tray went on to get a Masters of Arts Degree in Political Management from George Washington Univeristy. Tray has experienced 6 Nevada State Legislative Sessions and served as Legislative Director for NV Governor Jim Gibbons. Tiffany Novich is the Co-Founder & CEO of Full Tilt Logistics. After graduating from the University of Nevada, Reno, Tiffany worked as a wildland firefighter and met her husband Nick. After getting married and having their first child, they decided to open their own company. Full Tilt Logisitcs is a Premiere Freight Logistics and Transportation Company. Full Tilt does chain management, supply chain design, transportation procurement, route management, company-owned dedicated energy efficient power units. Noah Chubb-Silverman graduated from Western Washington University with Industrial Technology. After working with a prominent local arborist and learning the trade, Noah moved back to Reno and started Noah's Park Tree Care and also the Reno Bike Project. Katrina with M&A Business Advisors and Mike with CliftonLarsnAllen have all the facts on the right and wrong ways to buy/sell a business. EBITDA (Earning before Interest, Trends, Taxes, Depreciation, and Amortization) lenders & more! Scott Coleman, owner of Glory Cloud Coffee Roasters, talks all things developing business and customers. The passion behind owning a business is what makes the difference. Scott discussed his journey from the car business all the way to his own business: coffee and loose leaf tea! Chip Bowlby, Managing Partner of Reno Land - "Trying to create environments that inspire the quality of life, is how we determine success". Led by a group of experienced real estate developers and entrepreneurs, the mission of Reno Land, Inc. (RLI) is to develop and build notable residential communities and commercial properties throughout the region, and in turn create desirable places for people from all walks of life to live, work, shop and play. (http://renolandinc.com). IMA - Institute of Management Accountants: IMA is the worldwide association for accountants and financial professionals working in business, founded in 1919. We are committed to helping you–and our more than 60,000 members–to expand your professional skills, better manage your organization, and enhance your career. ( https://linkup.imanet.org/renoareachapter/home?ssopc=1 ). Mena and her husband purchased Evoke Fitness because they believe the power of exercise can change someones outlook on life. Mena is NETA PT Certified, CPR and AED Certfieid. Located at: 895 E Patriot Blvd Suite 108, Reno, NV 89511 - Evoke Fitness offers a 30 day challenge, fitness competition, small group, sport specific, private, crossfit bangerang, Pilates, corporate boot camp, power 40, Breast Cancer 2 Bikini. Nutrition is offered as well - Fit 4 Life Meal Plans, Dietary Specific, Sport Specific, Fitness Competition, and Planning. The 411 on Buying and Selling your business. Katrina and Mike have all the insight on the right and wrong ways to buy or sell a business. Timing, investing, taxes, cash flow, EBITDA (Earning before Interest, Trends, Taxes, Depreciation, and Amortization) lenders & more! Talage was founded in 2015 by Adam Kiefer, former UNR Football player. Talage provides a digital marketplace for small business insurance. There are 8 national carriers selling workers comp, property, and liability coverage in 44 states. Estee, owner of Liberty Food & Wine Exchange and chez louie here in Reno, NV. Mark is a nationally recognized chef who supports local farmers and food suppliers. Mark followed his passion when dropping out of college and attending culinary school. Liberty Food & Wine Exchange is an artisan eatery and wine bar that has a USDA-Certified butcher, bakery and production kitchen. Mark also runs large-scale catering and wholesale distribution. chez louie is a French-American restaurant located in the Nevada Museum of Art with the new SkyRoom overlooking Reno. Crystal Coleman joined CliftonLarsonAllen in January of 2017 and is an Audit Principal for the company. Before joining CLA, Crystal worked for Gallina in 2002 and currently still teaches graduate level accounting courses at University of California at Davis. Thomas Prutzman was the Associate Vice President at Morgan Stanley in San Francisco for 8 years. While working briefly as a consultant for PKF Consulting, Thomas founded Prutzman Wealth Management. Par and Jill have been married for nearly 20 years and they have 2 kids. Par has been a real estate veteran for 25 years. In 2016, he started Tolles Development Company and was the prior president of Basin Street Properties. Par is an active board member for Northern Nevada Hopes and is a wage task force under EDAWN. Jill was first elected to Nevada Legislature in 2016 - passing 4 bills (AB204,260, 362, 318). She taught at TMCC and UNR Communication Studies. Jill is part of the 2017-18 Legislative Committees for Education/Energy and Nevada Setencing Commission. David was an insurance agent for many years before opening Northern Nevada's Franchise for UFC Gym since August 12, 2017. Navy week here in the Carson City/Reno area was June 18-24, 2018. Lieutenant Junior Grade Davis Anderson discussed Navy Week and the benefit of hiring Veterans. Navy Week is in 74 different cities, there are 210 Navy Week events that go on and it has been going on since 2005. There are 20-50 Outreach events with corporate, civic, government, education, media, veterans, community service, and diversity organizations in each city. Visit http://www.outreach.navy.mil/Navy-Weeks/Reno-Carson-City/ to see what events occured! "The Immersium was founded by Josh and Jamie Morton, avid gaming enthusiasts who were searching for a fully immersive escape room experience. After visiting dozens of escape rooms across North America, and finding none, they decided to start their own." Josh owns a successful event production company and has carved niche building set designs for clients like Brook Brothers and PepsiCo. Jamie studied theater in college focusing on visual arts, music and interior design. She is also the creative director for Immersium. Craig Parish, Midtown Art Walk Director and Caroline McDermaid, Midtown Art Walk Assistant Director sat down with Mike Bosma and Katrina Loftin to discuss all things Midtown and Art! Craig has been the director for the last 8 years. He saw potential in the Reno buildings and wants artists and entrepreneurs working together. Caroline wants her home to strive to be the best. With her strong background in web development, she approaches each project from strategic standpoint. Kia is the owner of FR Dance here in Reno. She has danced professionally for over 40 years and was even a dancer for Hello Hollywood Hello Show. In 1994, Fascinating Rhythm - there are classes in all styles, levels and ages. Kia started a Very Special Dance Program for kids with various special needs in 2006. FR Dance was awarded Certificate of Excellence as one of Reno's Top 3 Dance Studios by Three Best Rated, a world-wide company. Mike Bosma & Katrina Loftin talk all things business – How To Make You Millions! Bosma Business Center Lunch & Learn! Reserve tickets now! Call: (775)389-4800, email: manager@bosmabusinesscenter.com, Facebook or Eventbrite.com! Matt worked as a professional social worker for over ten years. In June 2001, he bought Java Jungle and later opened Jungle Vino in December 2004. Matt has grown The Jungle into one of the most respected, independent, coffee house in the Reno area. President/CEO of VAST – Powered by the CFO Group working with entrepreneurs. Tanya is also a Best-Selling author of The Entrepreneurial Standard – Taking Your Company from Garage to Great. Tanya is also a panelist of LEVEL UP. LIVE SHOW with Melissa Davies who is the 2018 President for NNHRA (Northern Nevada Human Resources Assoc). She is a licensed Benefit Solutions Consultant for Clark & Associates with 11 years experience assisting employers + HR professionals with comprehensive employee benefit solutions. Melissa is also on the Board of Directors for Reno/Sparks Chamber of Commerce, Bristlecone Family Resources, NV Cancer Coalition, Crisis Call Center!! Ryan Goldhammer opened Noble Pie Parlor in 2010 (formerly Pie-Face Pizza Co) – became the city’s most award-winning pizza shop. Noble Pie has won the Best of Northern Nevada (8 years) and other awards around Reno. Noble Pie Parlor Midtown (2nd location) opened in June of 2016 and has been taking the Midtown pizza market by storm ever since! In October 2014 Pignic Pub & Patio was opened and is successfully operating today. The nation’s first ever “Community Grill & Smoke-Yard”. Robin Brockelsby is an Entrepreneur, Speaker, Leadership Consultant and Founder of Embrace the PATH. She owns and operates multiple businesses in Northern Nevada, including Creative Coverings – a Reno based company that is recognized as one of the nations’ leading National Special Event Linen Rental & Sales Companies. Matt Girvan, founder of MAG Consulting. MAG Consulting helps multi-national and medium-sized Northern Nevada companies compete in an increasingly demanding global business environment. MAG Consulting specializes in re-wiring processes for huge gains in quality, productivity, margin and time to market. With each project, MAG targets a 10:1 return on investment or a 1,000% increase in the desired outcome. Megan Pruitt, Principal of the newest Doral Academy of Northern Nevada: new charter school opening in Reno. Using an arts integration teaching method, offers special classes such as music, dance, theatre, visual art & media arts. Core curriculum: subjects include mathematics, science & engineering, social studies & literacy. STEAM school and PROJECT BASED LEARNING SCHOOL. Mike Bosma, CPA at CliftonLarsenAllen, sits down with Jason Hopp, owner and operator at Full Circle Flooring and discusses Jason’s journey as a young, successful entrepreneur. Mike Bosma, CPA at CliftonLarsenAllen, meets with Ira Gostin, Chief Marketing Officer at 120 West Strategic Communications and Katrina Loftin-Winkel, managing partner and co-founder of M and A Business Advisors. Mike Bosma, CPA at CliftonLarsenAllen, interviews Valerie Clark, President of Clark and Associates and discusses insurance and acquisition with Katrina Loftin-Winkel, managing partner and co-founder of MABA (M and A Business Advisors). Mike Bosma, CPA of CliftonLarsonAllen and owner of the Bosma Business Center interviews Ron Rowan, Chief Financial Officer at Clear Capital. Mike and Ron talk everything regarding finances, technology, and Clear Capital’s growing footprint in Reno, Nevada. In the studio with Mike Bosma today is Mindi Hynek, owner and interior designer at NV Design and Decor. Mike Bosma meets Daron Rahlves, the most decorated male American Downhill and Super G skier in history. Daron is also the creator and event promoter of the Rahlves Banzai Tour, and a promoter of the Tahoe Junior Freeride Series. Mike Bosma, CPA sits down with Katrina Loftin-Winkel, managing partner/ co-founder of M and A Business Advisors, and discusses how the tax reform impacts buying and selling a business. Mike Bosma, CPA, hosts Jamie Kalicki of Kalicki and Collier Attorneys at Law, and talks all about travel, tax reform, and all things business. In the studio today is Teresa DiLoreto, Managing Partner of Paradiso Communities and Don Tatro, Executive Director of Builders Association of Northern Nevada. Mike Bosma, Principle at CliftonLarsonAllen, talks with special guest Chris Perera, owner of Perera Builders, LLC, about life as a long-time, successful entrepreneur, husband, and father. Mike Bosma, Principal CliftonLarsonAllen sits down with Gloria Petroni of Petroni Law Group and Richard Teichner of Accounting Forensics and Valuations for a what to do and how to when you own a business and find yourself getting divorced. Learn how to embrace the concept of Financial Planning for your 2018! Learn all things from educational planning to tax planning to make sure your 2018 finances run smoothly. Remember the #1 thing: Manage and Measure! Mike Bosma, Principal at CliftonLarsonAllen, talks all things business and taxes for an action-packed hour of topics you do not want to miss! Breadware is a company whose mission is to reduce the time, cost, and risk of bringing IoT hardware to production. Daniel is an author on eight patents and has experience at all stages of the electronics development cycle. Prior to founding Bread Inc, Daniel was the Director of Electrical Engineering for MotoCrane, a robotics company specializing in providing state-of- the-art filming tools to the cinematography industry. Daniel is a Rhodes scholar and holds an MBA and MSc in Biomedical Engineering from Oxford University as well as BS degrees in Electrical Engineering/Computer Science and Bioengineering from UC Berkeley. Danny DeLaveaga has a BS Degree in Mechanical Engineering from UC Santa Barbara. He held several engineering positions with various tech companies as well as lecturing at UC Santa Barbara in the School of Engineering before he co-founded Breadware, Inc in 2015 where he works as COO. Mohan, the president, has a Bachelors in Business Administration from Cardiff University, United Kingdom and a Masters in International Public Relations also from Cardiff University. She is a 3rd generation organic tea grower; her grandfather was the pioneer of the organic tea movement in India in the 1920s. Mohan has leveraged her family connections with Indian tea gardens to streamline ingredient sourcing and import/export operations. She has nurtured her international relationships with Harrods, Equal Exchange, and GAIA to identify business and product opportunity. Mohan’s extensive global tea knowledge lends itself to better understanding product dynamics, tea trends and packaging formats along with her extensive local market research and ability to identify and develop new avenues for organic tea products in the United States. Mohan is currently managing Marketing and Purchasing for Davidson’s Organics. She is a member of the National Association for the Specialty Food Trade and the National Restaurant Association. Patel, the director, has Bachelors in Operations Management from Rutgers University, New Jersey. He worked as a commercial Baker at JP Morgan Chase in New York. Patel brings his extensive financial knowledge with him to Davidson’s Organics. He is well versed in business dynamics and financial management, along with market research and has the ability to predict and target new markets for organic tea products. Patel has leveraged his family connections with Indian tea gardens to streamline operations, expand product penetration, along with sales and market reach. Patel is currently managing Sales and Strategy for Davidson’s Organics. He is a member of the National Association for the Specialty Food Trade and the National Restaurant Association. He is also a board member for the Nevada Department of Agriculture (NOP Organic Advisory Council). 12/9/2017- Bosma sits down with Scott Clark from The Spa & Sauna Co.
Shelly’s father originally owned the company. Shelly started learning the company from manufacturing, then the accounting and other aspects of the business. Shelly and Scott met when Scott was a sales person and a vendor of the Spa and Sauna Company. They got married in 2000, after dating for 5 years. They’ve raised 4 kids, one of which works in the family business. The business has grown from a small local business to having several locations. With being in business for 25 years, Scott and Shelly realized they needed to move into the 21st century and utilize new and more modern processes and although they have worked through previous recession years they realized they needed to stay ahead of the curve to survive the future which is constantly changing. They’re learning to work smarter and thinking about the business in a new way. Profit matters, but satisfied customers matter more. Owning a small business doesn’t come with an “Owner’s Manual” so a lot of it is trial by fire. It’s a process and they’ve learned to look through their customer eyes to present a better product. Barbara has 50 years of equestrian experience including 40 years as a professional equestrian. Her experience includes equine trainer; equine instructor (for both adults and children); equestrian judge and judging coach; equine competitor at the upper levels of Hunter/Jumper; management of horse shows and facilities; and 10 years of equine therapy experience working with troubled youth. She has been the President of the Board of Directors, the Program Director, and the head instructor for Between Horses and Humans for 10 years. She is the past President of the Carson Valley Trails Association and a past member of the Board of Advisors for the 4-H program in New Jersey. An industry veteran with decades of experience and millions of dollars in development history behind him, Par Tolles has long served as a pioneer in changing the face of Northern Nevada and beyond. 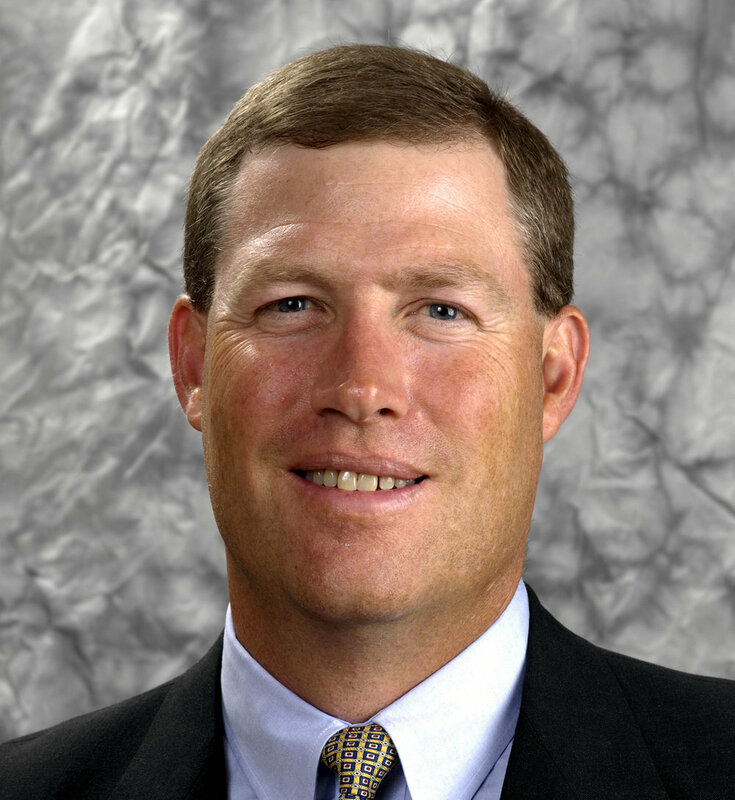 Prior to serving as the Founder and Principal of Tolles Development Company, Par was President of Basin Street Properties and oversaw all aspects of the company’s day-to-day activities, portfolio and investment management, as well as coordinating functional areas across all areas of the company. Prior to Basin Street, Par was President of Dermody Properties and served in a similar capacity. Cowboy-Con was organized to preserve and promote the western genre through large-scale annual events. Cowboy-con 2017 was held at the Reno-Sparks Convention Center in Reno, Nevada and with virtually no advertising generated several thousand in attendance. Cowboy- Con 2018 is forecasting 26,000 attendees at our second annual Cowboy-Con event that is to be held at the Grand Sierra Resort in Reno, July 19th through the 22nd. By comparison, there are no similar western-oriented events with a national audience appeal, though Comic-Con, which is half annually in San Diego, generated 130,000 attendees over the course of seven days. Cowboy-Con, Inc. is launching a Rewards program utilizing a laminated membership card with a magnetic strip that allows the Event operator to track attendees and pre-sell annual or lifetime memberships. The Corporation’s goal is to build a database of 1 million registered members. Cowboy-Con, Inc. is forecasting $79.23 in gross sales per attendee, which equates to $2,060,000 in gross revenue for the year, based on its $1,250,000 budget. A growing volunteer base has been meeting with Staff monthly at the Grand Sierra Resort in preparation for the 2018 Event. Sponsor interest is also sharply higher, including such companies as Wrangler, Dodge, Hertz, country western radio stations, KTVN Channel 2 television, western-wear chain stores as well as other local sponsors. The Corporation is forecasting $100,000 or more in sponsorships for the Cowboy-Con 2018. Celebrities that have committed to Cowboy-Con 2018 are stars from popular western television series, such as “Bonanza”, HBO’s “Tombstone” series and “Deadwood”. Revenue is derived from ticket sales, Memberships, event venues, sponsorships, hotel rooms, memorabilia sales, exhibitors and database rental. Rodney is the Senior Vice President of Small Business Lending for Plumas Bank and has been in the small business lending arena for 27 years. Ten years ago he created the SBA Division for Plumas Bank where they provide small business financing in five Western States. Prior to his present employment, Rodney held numerous positions in 13 years in the SBA Division at Bank of the West including National Sales Manager. He holds an Economics Degree from the University of California Berkeley and is a graduate of Pacific Coast Banking School at the University of Washington. Jarrod has grown Noble Studios from a single laptop computer into one of Inc. magazine’s list of fastest-growing private companies in America with a client roster of global brands. Most recently, he was named SBA’s Small Business Person of the Year for the State of Nevada. In 2013, Jarrod was named Technology Entrepreneur of the Year by NCET. In 2010, he was awarded SBA’s Young Entrepreneur of the Year for the State of Nevada and Twenty under 40 by the Reno Gazette-Journal. He was also a recipient of In Business Las Vegas’ Entrepreneur Award for conducting outstanding business in Southern Nevada. Michael Thomas oversees the creation and execution of brand and digital strategies for Noble Studios’ high-profile clients. He helps clients refine their marketing ideas and works closely with the team to bring them to life. A veteran of the marketing world, Michael played an instrumental role in growing Noble Studios into one of Inc. magazine’s list of fastest-growing private companies in America. In 2014, he was named SBA’s Small Business Person of the Year for the State of Nevada. He was inducted into the inaugural class of Twenty under 40 award winners by the Reno Gazette-Journal. He is also a recipient of the Mark Twain Community Service Award given by the Public Relations Society of America and has been named Marketer of the Year by the Reno-Tahoe American Marketing Association. 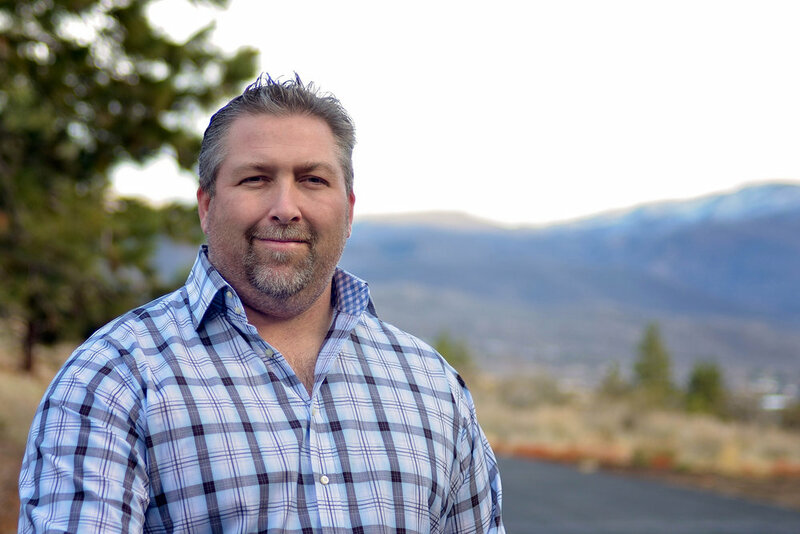 Tony Schweiss is a management consultant with The Gunter Group and the market leader for Northern Nevada and Sierra region. His firm provides strategic facilitation, leadership for strategic and enterprise initiatives, and an additional focus on talent management and organizational health. The Gunter Group invests in the communities it serves both by adding value to clients’ companies and partnering with community organizations to advance social well-being. Prior to his work with The Gunter Group, Tony served in the U.S. Navy as a Surface Warfare Officer. He holds a Bachelor of Arts in Theology and Philosophy from the University of Notre Dame. A 3rd generation native Nevadan with family living in Nevada for the past 92 years, Blake takes pride in all of his endeavors in the State. A family man at his core, Blake’s measurement of success is hearing his kids tell their friends their father built “that” property. In fact, the S3 Development brand was derived from the Smith (“S”) family name and his three (“3”) children. He enjoys traveling and spending time with his family. Blake’s vision for each project is to fuse modern, upscale and elegant features while striving to raise the bar on Northern Nevada real estate development. S3 approaches each project concept with a combination of environmentally conscious technology and design, functionality within a space, and topped off by Blake’s personal affection for classic “understated elegance” architectural and feel. A company that hosts rad events dedicated to “helping women play BIG.” Whether you’re still in school or running your own company, they realize that you need not just professional services that will teach, train and inspire you, but a network of lady bosses who believe collaboration is a new competition. Their goal is to encourage women to want leadership and business skills. We teach them the importance of both hard and soft skills in the business world, and how to approach starting their own businesses. They bring together swanky lady bosses who have made and are still making an impact on our world and its inhabitants. They bring women together to be more and do more. They have a total of 3245 community members. Bosma sits down with CliftonLarsonAllens Carlan White as they talk about different ideas for starting your own business. Everything from building homes out of shipping containers to selling different items on craigslist. To find out the secret sauce for starting your own business take a listen below. 9/30/2017- Bosma sits down with UNR’s professor, Mark Pingle and his young entrepreneurs. Mark Pingle is a professor of economics at the University of Nevada, Reno. Professor Pingle has scores of publications in macroeconomics, behavioral economics, and experimental economics. He has served as Chair of the UNR Department of Economics and President of the International Society for the Advancement of Behavioral Economics. Desiring to more personally facilitate economic development in northern Nevada, he shifted a large portion of his efforts toward the development of entrepreneurial talent. He spearheaded the effort to create the entrepreneurship program at UNR, subsequently spearheaded the creation of the community Entrepreneurship Nevada effort. Most recently, he is leading the development of the Youth Entrepreneur Syndicate, which seeks to develop the entrepreneurial capacities of youth aged 12-18. One young entrepreneur is Abigail Pruitt, 12 years old and is currently a 7th grader at Cold Springs Middle School. Abigail is the CEO of Pruitt Puppets, a company she has built making and selling marionette puppets. Abigail designs and creates each handcrafted, unique puppet. The goal of Pruitt Puppets is to create imaginative toys that never go out of style. They will put a smile on everyone’s face, no batteries required, all strings attached. Jeff Saling is a veteran business executive with 25+ years in start-ups and executive leadership of public technology companies in Silicon Valley and Austin, TX – with 4 successful exits – 3 by IPO and 1 by acquisition. Most of Jeff’s career has been developing, selling, and implementing complex software and cloud-based solutions to large enterprise (fortune 100) type companies. He’s held global/senior leadership positions in sales, operations, product development, and professional services/customer success. Jeff’s most recent start-ups include Buzz.Tools (Founder) a Reno, NV based social media group advocacy solution for business teams and political campaigns. SmartPicture (Cloud Founder) an Austin, TX-based cloud solution for making measurements and 3d designs from smartphone pictures. Dr. Bret Frey and Dr. Robert Watson decided they could no longer ignore the profound transformational benefits of low-dose ketamine infusion therapy. The birth of Sierra Ketamine Clinics is the result of their treatment team listening to the pleadings of our greater Northern Nevada community to make this transformational therapy available for those suffering and in desperate need. Carl Gerhardt has over 30 years’ experience in franchising. This career spanned 30 years in the trenches of the graphic arts industry, as an owner of an Allegra Marketing/Print franchise and as a corporate franchise executive. He built printing business from a start up to $2.5 mil. in sales and sold it to his manager, “sweat equity” partner, in 2003. In 2004, he brought those valuable insights and practical knowledge to the parent company Alliance Franchise Brands as President and CEO. He is now a volunteer with SCORE offering free consulting to individual entrepreneurs wanting to start their own business and existing small business owners. In 1974 Irene began a career in Human Resources, working first in a service company, then moving into HR Management positions in manufacturing in Southern California. She successfully worked as an HR Consultant for a few years during that time. In 1995 her husband’s company moved to Arkansas, where she worked as HR Manager for an ice cream manufacturer of about 350 employees. Irene acquired my SPHR with SHRM and was named Arkansas Professional of the Year in 2003. Irene served on Amazon.com’s Corporate Teams developing and implementing new manager training, workers’ compensation strategies, and safety policies and programs. She retired from Amazon.com in 2011. She joined SCORE that same year and became Chapter Secretary in 2012 and Chapter Chair in 2014. In addition to SCORE, Irene volunteer for two other organizations. Denise has a varied work history in high-volume purchasing, merchandising, marketing, sales, retail, and business development. She enjoys the intrigues of business development and the challenges that go hand-in-hand with building just about anything … relationships, careers, friendships, and businesses. She serves on the board of the Northern Nevada Children’s Cancer Foundation, is a Rotarian and dedicates a great deal of her time to serving the northern Nevada community. For now, she has her sights set on building a ground-up business and looks forward to one day making ‘UM’ a household brand. With over 20 years in the hospitality industry, Dale served numerous positions from a cook, service, and supervisory roles to retail operations and restaurant management. A successful 7-Eleven franchisee for the past 16 years. He looks forward to a new UMazing adventure and meeting all the downtown residents and future friends by providing a unique and exciting environment of what people want when they want it in an uptown, vibrant environment. The Urban Market is your convenient stop for all things local and yUMmy. Make UM your destination for fresh produce, locally sourced coffees and teas, packaged snacks, craft beer, wine and much more UMazing products. Stop in and get something for lunch or come visit our juice and coffee bar. Brett started working in restaurants as a busser at the age of 14. After graduating high school he did volunteer work with AmeriCorps and traveled to Europe tasting the different cuisines which inspired him to cook. Moseley studied culinary arts at The Art Institute of San Diego. When moving back to Reno, after living in Seattle and Sacramento, he took a job as the chef de cuisine of Ciera steak house at the Mont Bleu hotel in South Lake Tahoe. After a year I left to continue learning and took a lead line cook job at Martis Camp in Truckee, CA. Within a year Brett became the executive Chef at Martis Camp, operating four different venues including banquets, golf events, wine dinners etc. He has always wanted to be an entrepreneur and work for himself. Brett started looking into the possibility of opening a restaurant and within three months found himself holding the keys to a nice downtown location. Moseley has been in business for four months and has learned an incredible amount of invaluable information. Washoe Public House features fresh, seasonal, local and hand crafted food. They offer only the best ingredients prepared from scratch every day. To find out how opening the Washoe Public House has been for Brett take a listen below. In Aug 2010, Itai co-founded The Orthopedic Implant Company where he brings passion and commitment to the cause of reversing the wave of rising implant costs. Mr. Nemovicher gained much of his medical implant experience at Smith & Nephew Orthopedics, a $3B medical device company. They shattered the myth that high value is a result of commoditization. Simply put, they have found a smarter way to create implants. Their solutions have everything familiar to surgeons and OR staff, yet with subtle innovations to improve on the gold standard their products already measure up to. To get Mr. Nemovicher’s #1 thing listen below. 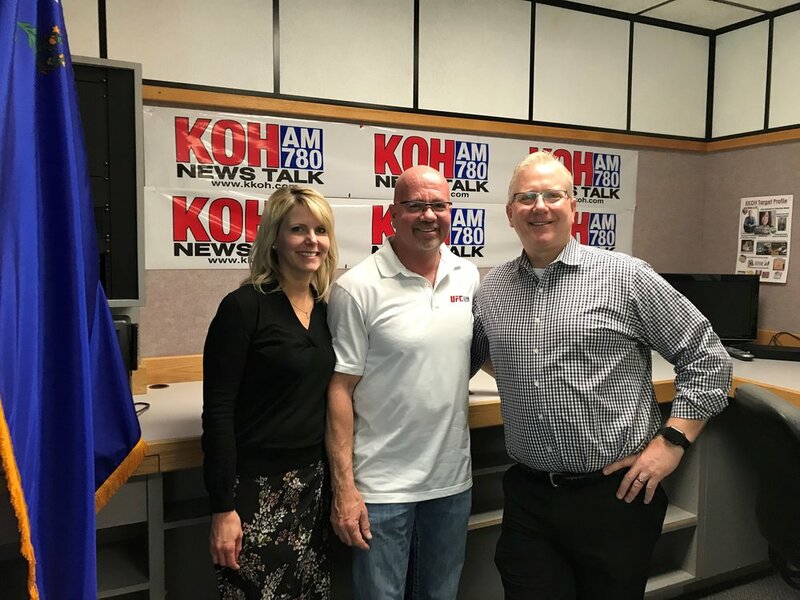 Bosma sits down with James Kalicki and Katrina Loftin-Winkel on how to sell your business for millions and pay no tax. James is the CPA at Kalicki | Collier attorneys at law and Katrina is the Managing Director for M&A Business Advisors. To find out how to become a millionaire without paying taxes by listening below. PB&J Collective is Reno’s first boutique nanny agency. Kaitlin is the oldest of 6 and has always had the “Big Sister” title she takes pride in and has been called by the families she has worked with. She studied Elementary Education at Truckee Meadows Community College and Multimedia Communications at The Academy of Art in San Francisco. Kaitlin found fulfillment while working as a nanny through college she continued to do it for a decade. After graduation, she researched Reno’s market and need for boutique nanny services and decided to start her own. PB&J Collective now offers a variety of services such as babysitting, infant care, temporary nanny services, and family assistant. To find out how it all started take a listen below. Their flagship store was founded by Bob and Marge Kenny in Hollywood, CA in 1980. Their founder, get ready for this…was none other than a Las Angeles Police Officer! Donut Stop became a local favorite and quickly grew to multiple locations in Southern California. In 2009, the family journey continued when Bob’s son, Jay Kenny, moved the family’s recipes with him to Reno, NV and DoughBoys Donuts was born. Our family still operates Rolling Pin Donuts in Camarillo, CA. See what Jay’s #1 thing is by listening below. The Tahoe Trail Bar was founded in Hot Gossip coffee shop in 1995. The owner, Fred, started making 11oz bricks of chocolate peanut butter oat goodness every morning, and locals were known to fuel a whole day of skiing at Heavenly on one serving. In 2006, Wes King moved to Lake Tahoe and was an instant fan of the bar. He would buy them by the handful at various locations around South Lake Tahoe, and it was his go to snack for outdoor adventure. 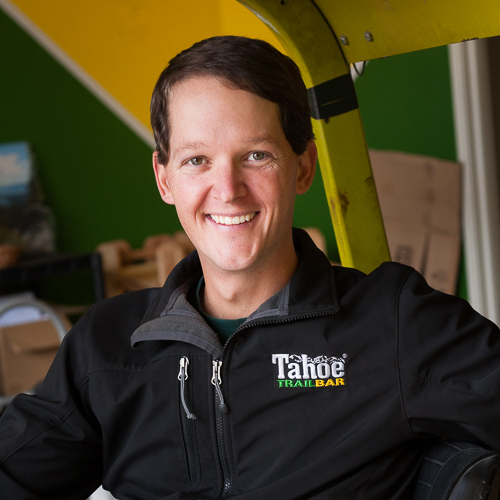 In 2010, Wes wanted to do everything he could to get this energy bar in as many hands as possible and became the new owner of Tahoe Trail Bar. Take a listen to see what King’s #1 thing is. At the Law Office of Marilyn D. York, her special areas of expertise are getting the best possible divorce settlement for her clients and protecting them before, during and after the divorce. Her practice is focused on securing men’s rights. Even though most Nevada laws, as written, do not discriminate against men, courts often seem to favor women in their decisions. Marilyn’s most recent entrepreneurial accomplishment is the founding and launching of Northern Nevada’s first attorney owned and operated legal real estate brokerage, Esquire Realty. At Esquire Realty, Marilyn and her team offer traditional real estate services but from attorney-Realtors. Mill Street Still and Brew is a brand new locally owned brewery/distillery. The team prides themselves on being local and all graduated from UNR. They currently have 6 different types of beer and will be making more throughout next couple of weeks. Mill Street will continue to play with recipes and create new beers. The distillery is producing vodka and will start on gin shortly. By the end of the year, they will be putting whiskeys and rums in barrels to be aged and ready no earlier than 4 years. 7/1/2017- Bosma sits down with the Willy Wonka of Reno, Kimmie Candy’s Joe Dutra. Bosma sits down with Kimmie Candy’s Joe Dutra. Joe starts by telling us how his business all started. Then goes on by breaking down every step of his candy business and how everything operates. Bosma gets his opinion on the labor force and labor cost. Dutra gives advice on how to become national and international from a local business. They finish with Dutra’s #1 thing, to find what it is, take a listen below. 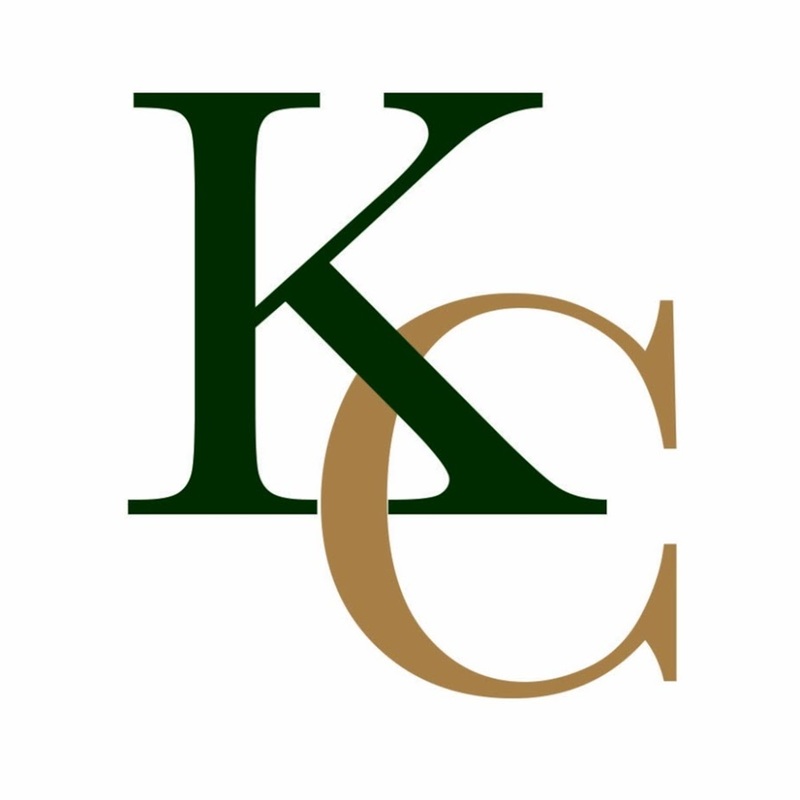 Kirsten Childers is an accomplished independent business woman who combines management and operational experience with entrepreneurial instincts. She comes from a background in multiple types of business structures from small owner/operator, franchisee or large corporations. Kirsten has over 23 years of high-end retail experience and over 20 years of assisted living/elder care experience. She specializes in business operations with an expertise in training and development, recruitment, and management of controllable expenses for budgetary compliance. It’s the Family Business show this week on Bosma On Business. Mike Bosma brings in his wife Jill Bosma and their daughters Kaili and Malia. They start by talking about the job duties of HR as Jill has been in this position for 15 years and knows all the ins and outs. Mike gives his Tips and Tricks on paying your 2nd quarter estimated taxes. Giving 3 different ways you can pay those quarterly taxes so you won’t get penalized. Finishing the show Mike and Jill come up with a Business Model for your kids to get $9,000 working part-time over the summer for their car. Mike Bosma sits down with MS Companies Harmony Keith and finds out what it takes to get hired. MS Companies provides 3rd party Inspection & Containment, Production, and Manufacturing support to a broad base of customers, primarily in the booming automotive manufacturing industry. Currently, they are one of the fastest growing privately held companies. MS Companies employ 1,000’s of people throughout 15 states in various quality control, warehousing, production, and logistic capacities. They are looking to fill 100 + Warehouse Operator, Forklift Operator, and Production Technicians in the Reno area throughout 2017.